The top posts on Finance Training Courses this month in December 2010 directly from Google Analytics. 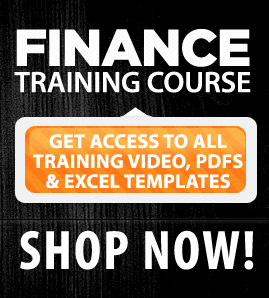 The finance training course store is getting good traction, followed by the first course in corporate finance for finance neophytes, followed by our most popular download on ICAAP. In terms of Click Through (CTR) traffic, the calculating forward rates reference has the highest CTR of over 20%. While mathematically speaking duration and convexity are simple topics, somehow Risk heads and Quants in general have a difficult time explaining both to retail banking, senior executive teams and board members. I thought a working example of duration and convexity illustrating the differences between Macaulay, Modified and Effective Duration side by side with an illustration of Convexity would help the cause. We may still lose the battle for hearts and minds when it comes to these two topics but we would know that we had tried. In the posts that follow we will look at the specific mechanics of the Duration (i.e. Macaulay Duration, Modified Duration and Effective Duration) and Convexity calculations. For a more advanced understanding of Duration & Convexity and its application in a banking setting please see the Asset Liability Management – The ALM Crash course and survival guide. The ICAAP (Internal Capital Adequacy Assessment) Roadmap post reviews the core topics in a crash course format for Internal Capital Adequacy Assessment. The hope is that armed with the relevant context, historical background and tools we would be able to do a better job of informing our boards of expected as well as unexpected capital shortfalls. Whether its mark to market pricing of treasury investments, calculation of interest rate shocks for stress testing, configuring a probability of default model, a conditional transition matrix or valuation of collateral, you ultimately have to turn towards interest rate modeling if you are serious about ICAAP analysis. Interest rate models are defined by state variables and their processes. Think of these are the primary drivers or factors behind a given phenomenon. Just like pressing the accelerator changes and impact speed of a vehicle, tweaking a model parameter or model variable changes the value being simulated. Capital Adequacy was the principal message of the Basel II framework. However a static regulator driven capital adequacy measure was deemed insufficient to manage the risk profile and capital requirements of an active bank in today’s risk environment creating the need for an internal and invasive assessment of the capital profile of a bank. Ideally such a measure would allocate and attribute risk capital to all significant sources of risk, stress test the results and keep the board informed of any expected or projected capital shortfall. Under Pillar 2 of the Basel II Accord, Internal Capital Adequacy and Assessment Process (ICAAP for short) was introduced with exactly the same objectives. One forward looking aspect of the Internal Capital Adequacy and Assessment Process (ICAAP) is stress testing of all risk factors in order to arrive at the capital requirements for the worst case scenario. Stress testing also allows the bank to plan and prepare for unexpected situations that may arise in the future. We look at some of the stress tests that can be applied to credit, market and liquidity risk. We then review some of the requirements of the ICAAP process and consider the main sections of an ICAAP report. We also present an extract from a sample ICAAP report showing the Executive Summary and the Approaches used to quantify and aggregate risks. Under the Internal Capital Adequacy and Assessment Process (ICAAP) the bank will make use of internal models to assess, quantify and stress test risk drivers and factors and the amount of capital required to support them. We consider some of the building blocks in a modeling construction process and the risks involved in model building as well as ways to avoid those risks. This discussion is based on the paper “Model Risk” by Emanuel Derman (Goldman Sachs Quantitative Strategies Research Notes – April 1996). In order to quantify credit risk for the internal ratings based approach of the Internal Capital Adequacy and Assessment Process (ICAAP) the bank would need to be able to calculate the probability of default (PD). We discuss one methodology of calculating PD which is based on historical behavioral data. Stress testing, forced sale value modeling and credit risk mitigations are the three pillars that connect collateral valuation to ICAAP Analysis and modeling. Without incorporation of a sound collateral management, tracking and valuation model, there is a reasonable chance that your ICAAP numbers are completely disconnected from reality. If you would like to buy the complete course on collateral valuation as a PDF file, please see the Middle Office and VaR section at our online finance course store. The online finance course store includes easy-to-read-and-work-with downloadable pdf files, excel templates and ready-to-work with models that are shared to illustrate usage and speed up learning for advanced financial modeling, forecasting and simulation topics including interest rate forecasting and simulation, value at risk analysis, credit analysis and processes, Internal Capital Adequacy Assessment Process (ICAAP), asset liability management and other related middle office and risk topics. If you would like to buy this complete course as a PDF file or a Sample ICAAP report as a PDF file or the sample credit risk EXCEL sheet, please see the ICAAP section at our online finance course store. The online finance course store includes easy-to-read-and-work-with downloadable PDF files, excel templates and ready-to-work with models that are shared to illustrate usage and speed up learning and pick-up for advanced financial modeling, forecasting and simulation topics including interest rate forecasting and simulation, value at risk analysis, collateral valuation, asset liability management, ICAAP and other related middle office and risk topics. Under ICAAP requirements a bank needs to have in place internal procedures and processes to ensure that it possesses adequate capital resources in the long term to cover all of its material risks. These processes and procedures together are known as the Internal Capital Adequacy and Assessment Process or ICAAP for short. Some of you have been following the Learning Corporate Finance saga on this blog for the last few months. It is a story that started in February of this year when I finally gave in and started uploading content we generate as part of my risk training practice online. Rather than doing video which is awkward, expensive and difficult, I just took my notes, cleaned them up a bit and dumped them online. From February to June nothing happened. Well to be fair in mid June 2010, visitors to Learning Corporate Finance blog crossed the monthly visitors to our primary 7 year old Alchemy Technologies website which was a big deal since total traffic across all the domains we owned had just doubled. But the expected few hundred thousand dollars a month in revenues didn’t materialize. In June I almost shut the business down since I had promised myself that if in the next three months the site didn’t start printing dollars while I slept, I would put the hosting charges to good use elsewhere. I had burnt enough money in the two years that had just gone by and in another life earlier that my threshold for new experiments had come all the way down the sub-100 dollar mark. Then one fine day in June, traffic to the site doubled and kept on the monthly growth up trend all the way till mid October when the site crossed 7,500 visitors and 15,000 pageviews a month mark. End September we experimented with our online finance course store when a reader asked for a downloadable pdf file and before we knew it we had our first sale before the first week for the online finance store was out. Within the next few weeks it became apparent that the content plus excel spread sheet approach was working. Slowly but still working. While the amount was only 4 dollars and 99 cents, to see a concept finally generate revenues after ten years of tweaking the business model was a personal first. Just like becoming an actuary after failing one exam after another for eleven years. While we didn’t win at the Asia Pacific ICT Awards in Kula Lumpur, the event allowed me to finally spend some face time with Zafar and Badar Khushnood. Both suggested that it was time we moved the business from a subdomain on oilinsights.net to its own home at http://financetrainingcourse.com. The next three weeks were a painful exercise in discovering everything I didn’t know about redirecting a sub-domain to its new home. Traffic and advertising revenues plunged as the site went up and down all the time but surprisingly still content sales still held up and crossed a hundred dollars. November then became our first month at the new home. Course inventory now included courses on Value at Risk, Interest Rate Models and Simulation, ICAAP, Asset Liability Management, Counterparty Limits and Treasury Profitability. Our biggest sale came in at 49 dollars and caused a minor celebration at work. While we were still not breaking even, the few sales a week kept spirits up. As expected the redirection slowed traffic down initially but as soon as the site was up Adsense revenues went through the stratosphere. In September just before the APICTA Awards we had crossed 24 dollars a month. October because of the redirection disruption as well as traffic generation efforts was a disappointment at 17 dollars a month. November just blew past all expectations and closed at 51 dollars. Gross content sales crossed 160 dollars. By end November we had started seeing multiple sales a week up from a single sale a week since the online finance course store went up in late September. And now standing at the end of the first week of December traffic is finally back at the pre-redirection levels. Today we crossed yet another important milestone when Karachi was unseated as the city with the most visits in a week by London and New York and while at a national level domestic visitors fell to the 5th place. CTR is slowly climbing up as I experiment with the theme, ad placements and keywords and RPM is down to a dollar per 1,000 adsense views. So here is why you start reading the post in the first place. I am not sure what has worked or not worked but somethings have certainly done better than others. Here is my list of suspects that I think have helped with traffic, adsense revenues as well as better and higher SERP results. Pick a niche that you can dominate but is large enough for you to touch a million visitors a month. For me it was Finance and Risk. Depending on how much time I get over the next few weeks, I will try and cover some of these items on this blog. But till then think about the above factors. Would love to hear about what has worked for you or not. And if you could a similar post on how to go from 20,000 pageviews to a 100,000 pageviews in three months, I would love to read it. Qualifiers. Everything I know about SEO I have learnt from two close friends over the last few months and I am not an SEO specialist by any stretch of my or your imagination. But the real lessons were learnt doing it with my own hands and trying to see what works or doesn’t work with Google. All of this was done with a team of three people working part time on content over the last 10 months or so.